Thousands of flammable lakes are popping up all over Alaska and Siberia. That's because rising global temperatures are creating these thermokarst lakes as well as the perfect storm for our changing climate. 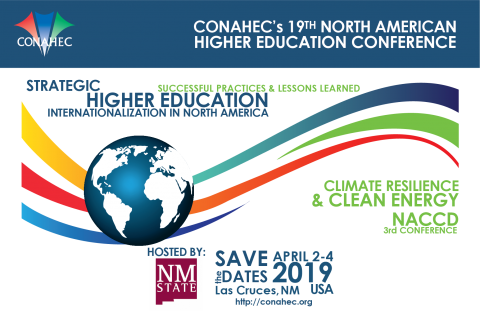 CONAHEC asesora a instituciones interesadas en establecer o fortalecer programas de colaboración académica en la región de América del Norte y entre ésta y el resto del mundo. Únase a nosotros para compartir sus esfuerzos para traducir las estrategias de internacionalización en iniciativas concretas y para aprender sobre lo que otros están haciendo para lograr sus objetivos de internacionalización. ¡Visita el sitio web de la conferencia hoy! 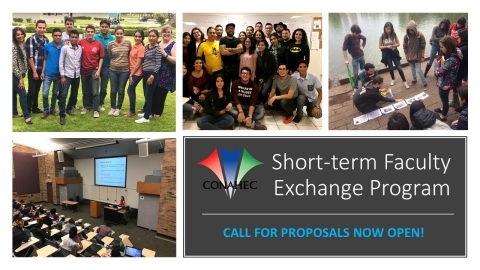 Participate in this great short-term exchange program. Visit our program page for more details. During the North American Leaders Summit, Prime Minister Justin Trudeau, President Barack Obama and President Enrique Peña Nieto announced the creation of the North American Center for Collaborative Development (NACCD), a CONAHEC initiative, in collaboration with the three governments of North America. 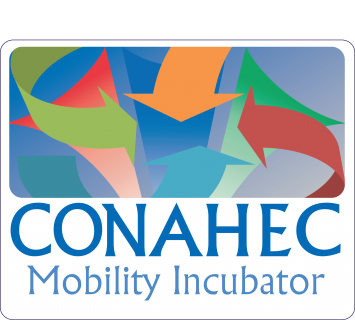 CONAHEC's Mobility Incubator Program is a new initiative which seeks to deepen interinstitutional relationships between our members and their international partners to through increased high-quality area specific interaction. 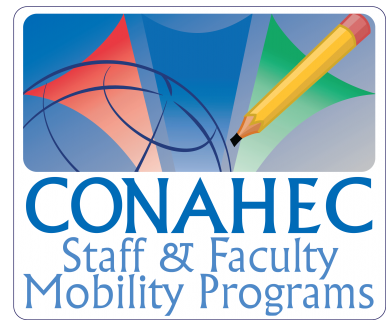 The Incubator's goal is to produce opportunities for jointly administered projects, research, service learning and internships which have a mobility component for students, faculty, and/or administrators. Oferta educativa incluye Mecatronica en Automatizacion, Mecatronica en Instalaciones Electricas Eficientes y Administracion de Recursos Humanos. CBIE’s 15-member Board of Directors represents different types of educational institutions and is drawn from across Canada. Our membership comprises all levels of education in Canada, including schools and school boards, colleges, cégeps, institutes, universities and language schools. Scholars at Risk also provides advisory services for scholars and hosts, campaigns for scholars who are imprisoned or silenced in their home countries. The visits of academic refuge usually range from 3 months to 2 years. The average visits is an academic year. 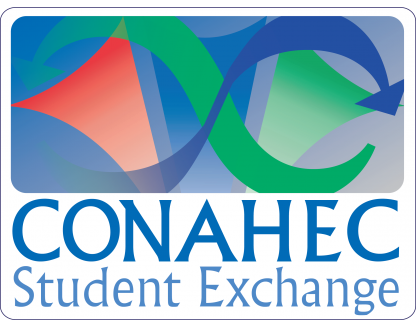 Access and Inclusion - Advocating for accessible, affordable, quality public higher education and supporting members’ historic mission of serving students who are non-traditional and represent diverse backgrounds. 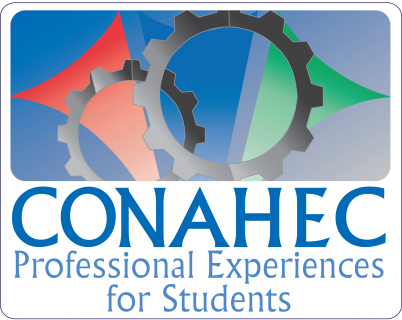 Student-Focused - Committing to programs and policies that help our members place students at the heart of their institution. We count with 3,700 professors to support our 70,000 students. 30,000 of these students participate in international level formation. We offer 62 undergraduate programs. We offer 200 postgraduate programs. Cooperation in research and knowledge transfer. Cooperation with Industry and Society. The mission of INAOE is to contribute as a public research center to the generation, advancement and dissemination of knowledge for the development of the country and of mankind, through the identification and solution of scientific and technological issues and the training of specialists in the areas of astrophysics, optics, electronics, computer science and related areas. The UVP Educative Model provides the opportunity to develop the most suitable competencies for students following a humanistic and constructivist philosophy. Recognized among the best universities in Mexico according to the Ranking done by the newspaper El Universal (Mexico). UACH is the most important educational institution of the largest state of the Mexican Republic with an impact of campuses across 11 municipalities in the state of Chihuahua. Currently, UACH has over 25,000 enrolled students. The La Salle educational institution itself is represented in over 82 different countries and 5 continents making it the largest education community in the world. Ranked in the top 3 in areas such as Architecture, Mechanical Engineering, Industrial Engineering, Chemical Engineering and Medicine. The ULSA medical school is one of the most prestigious universities in Mexico for medical training. Creadas en el año 2001, las Universidades Politécnicas ofrecen estudios a nivel de licenciatura y de posgrado, estrechamente vinculados a las necesidades de los sectores: público, privado y social. La Universidad Westhill es miembro de la "American Association of Community Colleges" (AACC), del "Institute for International Medical Graduates" (IIME) y, somos la única Institución Latinoamericana del "European Council of International Schools" (ECIS). Única Universidad Latinoamericana que ofrece programas académicos acreditados por ACICS. Participación en seminarios de formación de alto nivel. Obtención de apoyos y becas. 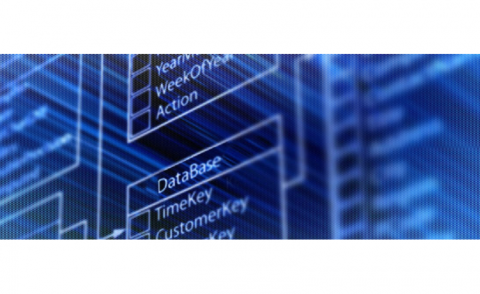 Desarrollo y participación en proyectos de investigación. Establecimiento de colaboraciones nacionales e internacionales. Una conferencia anual de alto nivel. Construcción de redes regionales, nacionales e internacionales. Leadership: Principal: Jorge Humberto Peláez Pierahita, S.J. Committed to teaching and the advancement of knowledge, Texas Tech University, a comprehensive public research university, provides the highest standards of excellence in higher education, fosters intellectual and personal development, and stimulates meaningful research and service to humankind. The University of Tijuana is a higher education institution, recognized by academic excellence, that propitiates the development of culture and education in the region. Through our use of a alternative and critical education model we contribute to the formation of professional with high competitiveness and commitment to our society. Location: Main campus located in Hickory, North Carolina. Nestled in the foothills of the Blue Ridge Mountains, Hickory has a population of about 40,000. Charlotte, Asheville, and Greensboro are within easy reach. College to University: In 2008, following a vote of the Board of Trustees, Lenoir-Rhyne University was officially created. Serves its community as cultural, academic and recreational centre. The Alamo Colleges' District Support Operations (DSO) has been honored with the 2016 Texas Award for Performance Excellence (TAPE) from the Quality Texas Foundation, which recognizes organizational effectiveness and sustainability. The honor singles out the Alamo Colleges as a state role model for achieving sustained performance excellence. MSU Denver is Colorado’s leader in providing STEM (Science, Technology, Engineering, Math) education to students of color, with more than 1,700 studying STEM subjects. The Hispanic Outlook in Higher Education ranks MSU Denver among the top 100 colleges and universities nationwide for enrolling Latino students. Diverse: Issues in Higher Education ranks MSU Denver among the top 100 institutions in the nation in awarding bachelor’s degrees to students of color. The Center for the Study of the Southwest engages faculty and students in the richness and diversity of Texas, the Southwestern United States and Northern Mexico and examines the region’s people, institutions, history, art and physical and cultural ecology. College of Business is one of the country's leading business schools according to the Princeton Review's 2014 edition of "The Best 295 Business Schools"
WICHE oversees multiple operations including student exchange programs, regional initiatives, and research and policy work to assist its members. BUAP carries out various exchange and mobility programs. BUAP has signed more than 200 MOUs and Exchange Agreements with various institutions in Europe, Asia and the Americas. The Graduate School offers over 200 degree programs among its 10 schools and colleges and awards approximately 1,600 Master's degrees each year. Since its founding in 1870, the Graduate School has been a leader in quality graduate education among its peers in higher education. Una vision motivada de la dignidad y centralidad de la persona humana. Una vision profundamente humana y social de la profesion. Una vision critica del desarrollo cultural. Un sentido ultimo de la propia vida. Un convencimiento profundo de que la razon humana es capaz de conocer la realidad. Un conocimiento y vivencia en modo convencido de la propia fe. Una capacidad de influjo y liderazgo. Universidad Xochicalco (Xochicalco University), founded in 1979, has grown and is now made up by three campuses in the state of Baja California, Mexico. The three campuses are located in the cities of Ensenada, Mexicali, and Tijuana. The University, in 2014, counted with: 2,007 students, 458 professors, 136 staff members, and 52 directors including the rector. CSUMB was founded in 1994 with a student enrollment of 654 students. Classes began August 28, 1995.The founding president was Peter Plympton Smith. It was the 21st campus in the California State University System and took as its slogan "The 21st campus for the 21st century. "The university offers 23 bachelor's degrees, 7 master's degrees, and teaching credentials. El Instituto de Bachillerato Tecnico Industrial cuenta con 1336 estudiantes, quienes ademas de la formacion academica impartida, cursan las especialidades tecnicas industriales en Mecatronica, Procesos Industriales, Diseno, Sistemas y Computacion. Leadership: Allan Cahoon, President of Royal Roads University. Royal Roads University is a public university founded in 1995. The University is accredited by British Columbia's Education Quality Assurance. It's location is a breathtaking National Historic Site. Royal Roads University follow a cohort models that focuses on group based course work. This leads to support and positive relationships with groups in the present and future of the students. The University counts with an enrollment of 2,500 students. UNIVA's Academic Exchange Program allows students to study relevant and updated topics of their degree, and the opportunity to interact with local students. UNIVA's Program of Mexican Culture and Spanish Language offers an unforgettable experience of true Mexican culture. Founded in 1856 in Durango, Durango, Mexico, Universidad Juarez del Estado de Durango began as an institution heavily influenced by a religious worldview, but also the spirit of critcal thinking brought about by the Jesuits in the area. The university got its name from the famed Benito Juarez when he passed away in 1872. UJED became a highly regarded research institute in 1970 and has since strived to increase its role in improving society in Durango and Mexico as a whole.